In its day, Persia was a superpower to rival Greece and Rome, and conflict between them spanned over a millennium. Through these wars, and trade, these foes learnt from each other, not only adopting elements of military technology, but influences in the arts, architecture, religion, technology and learning. 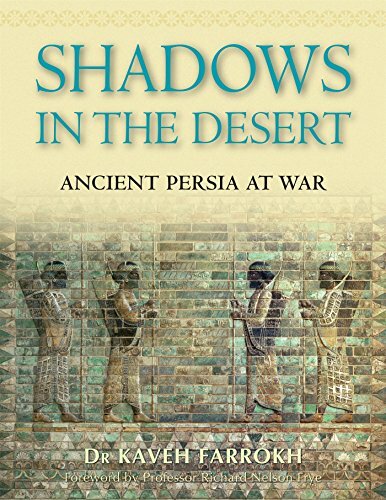 In this beautifully illustrated book, Dr Kaveh Farrokh narrates the history of Persia from before the first empires, through their wars with East and West to the fall of the Sassanians. He also delves into the forgotten cultural heritage of the Persians, spread across the world through war and conquest, which, even after the fall of the Sassanians, continued to impact upon the Western world. About: The ruins of Persepolis evoke the best-known events of ancient Persia's history: Alexander the Great's defeat of Darius III, his conquest of the Achaemenid empire, and the burning of the great palace complex at Persepolis.